I'm linking up with TTT to share a teaching tip with you guys. 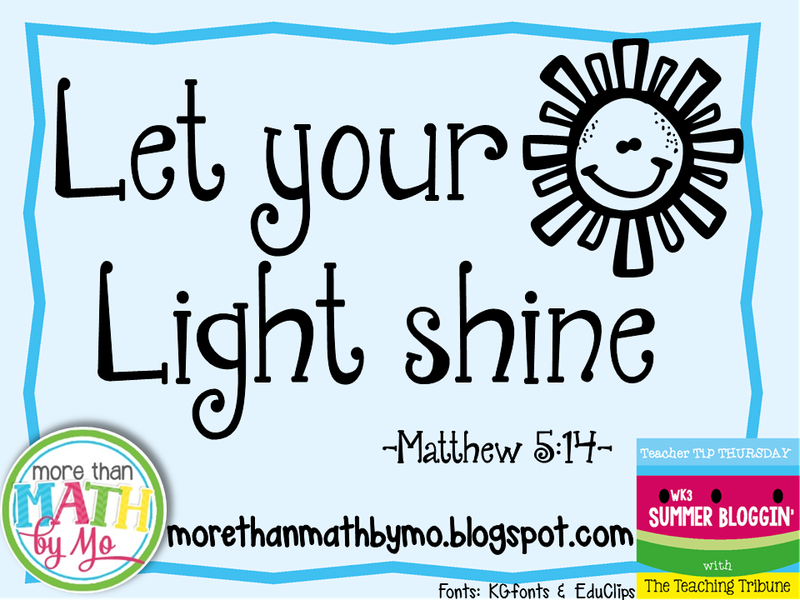 I hope you always remember to let your light shine! Hop over to the Teaching Tribune to link up and read more tips. Click the button below to hop over. Make this day a GREAT one!